Breathtaking little oasis between Sosua and Cabarete. 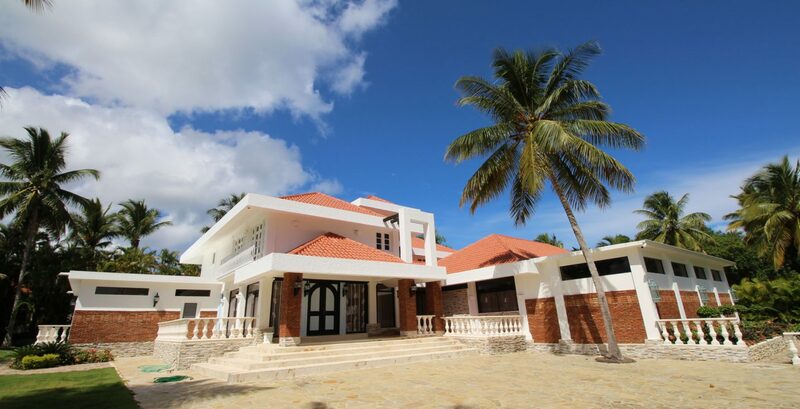 Designed and constructed by experienced builder, this solid impressive compound is immersed in natural beauty and blessed by the privileged weather of Dominican Republic. A dramatic 450 feet driveway (150+ meters) leads to two private and spacious modern spanish style homes sharing a resort size swimming pool with gazebo / pool house and mature tropical landscaping. Located in one of the very best locations on the north coast, this villa boasts luxurious features that would make your stay truly comfortable and exciting. 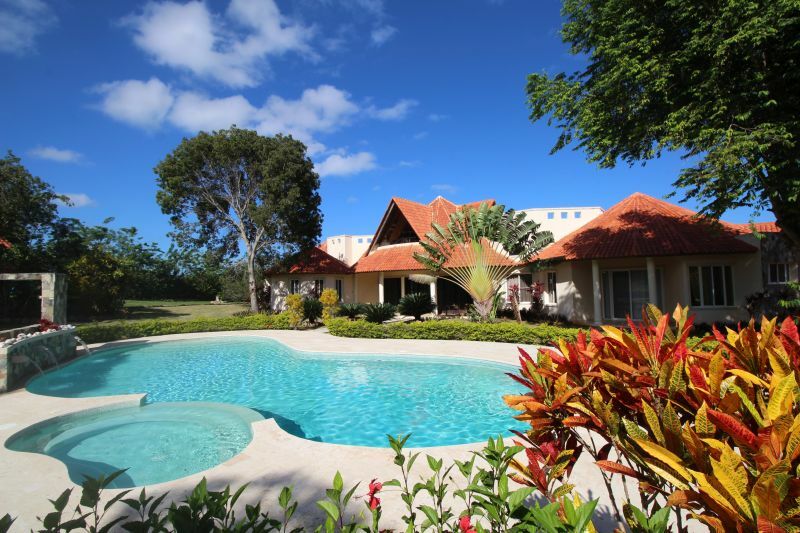 The two storey villa sits on a well maintained 2.5 acre lot. The 4,500 sq ft main villa has four bedrooms and four full ensuite bath plus powder room (1/2 bath) in main house. It has plenty of covered terrace space and seating, for both lounging and entertaining. In addition to the main villa, there is a separate guest house with 1,700 sq ft living area and three bedroom and 3 full ensuite bath rooms that comes complete with its own kitchen. The pool is a great place to view the spectacular sunsets, and has plenty of lounge space on the surrounding deck. The spacious kitchen has lots of storage and cabinets as well plenty of workspace on its exquisite granite counter tops, stainless steel appliances include refrigerator, range and stove, microwave / hood vent and dishwasher.and the high ceilings in the living areas allow abundant natural lighting into the home and the glow of the beautiful sunsets.